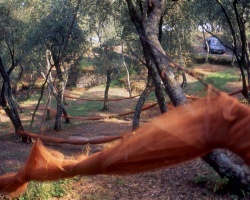 This installation was set in the hills behind Monterosso in Liguria. 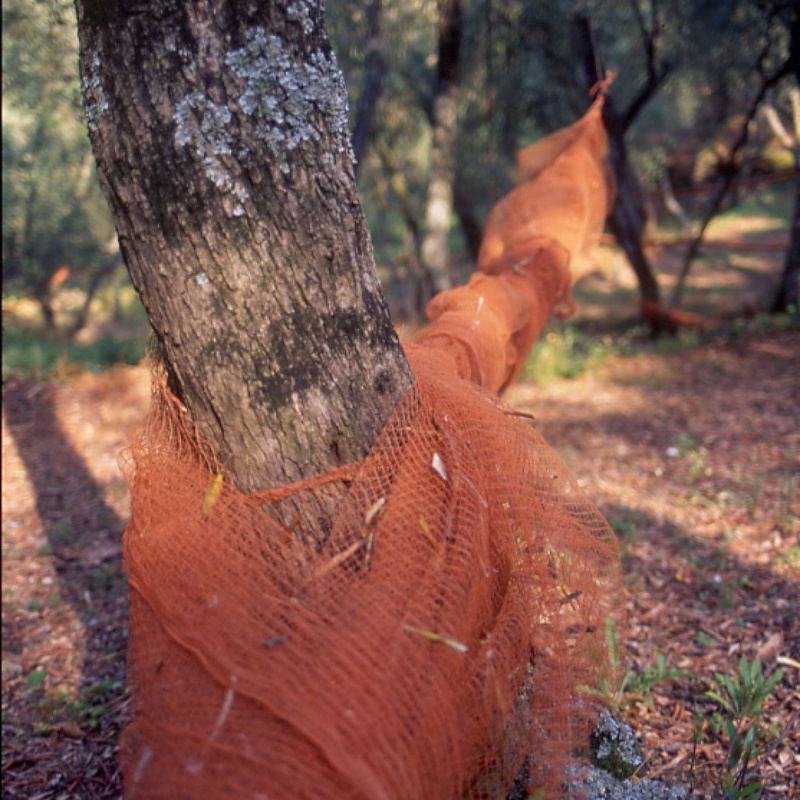 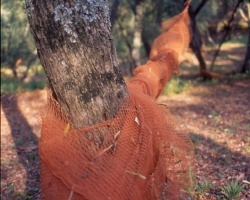 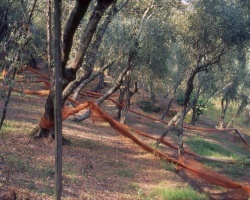 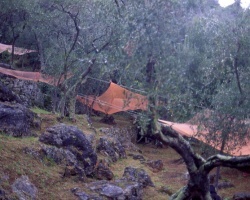 Traditionally local contadini harvested olives spreading large canvases between the trees and then beating the branches with long canes. 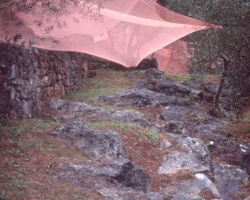 The steep terraces overlooking the sea, where the trees are planted, do not allow harvesting with mechanical systems and for this reason the traditional olive groves are being abandoned. 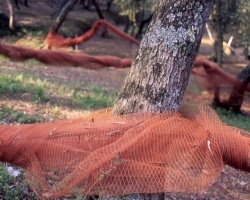 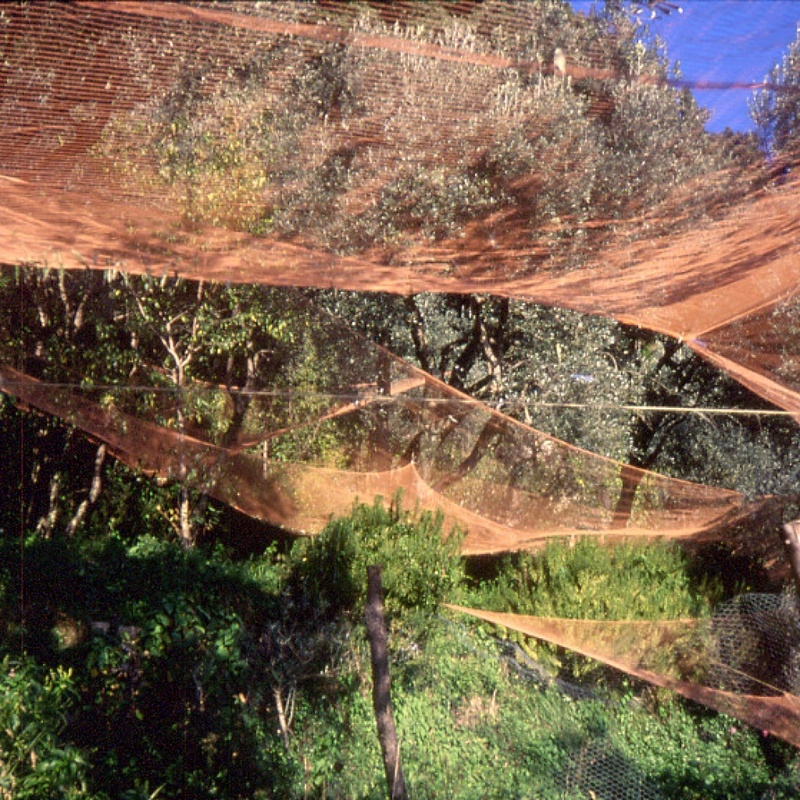 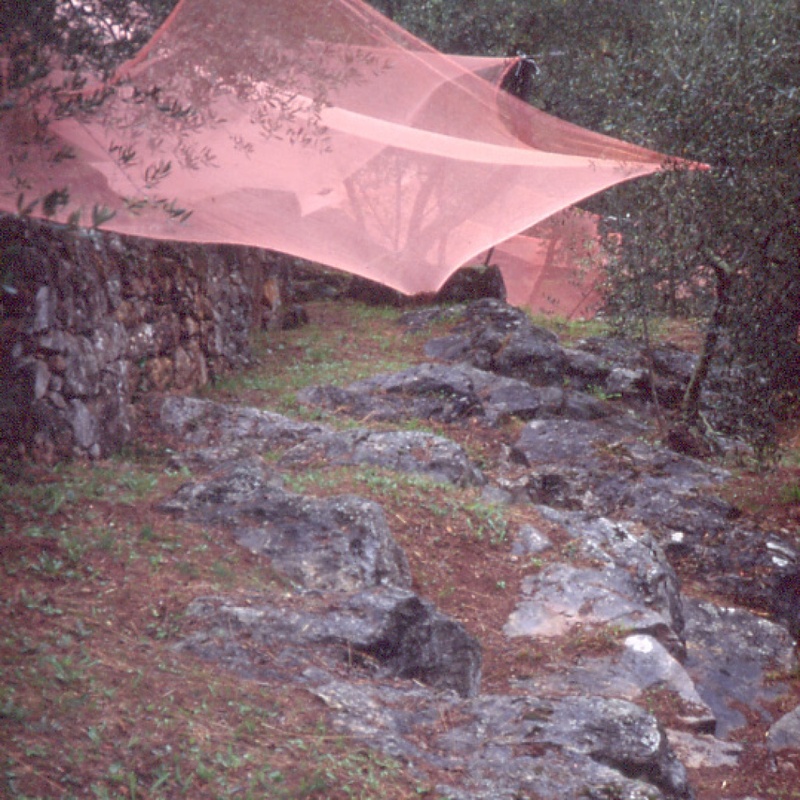 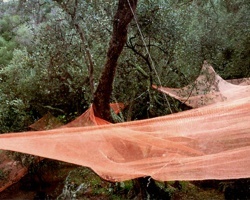 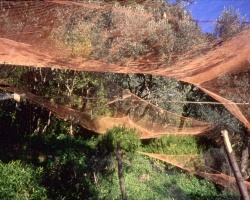 My idea was to use brightly coloured fishing nets, that would contrast with the deep green of the Ligurian vegetation. 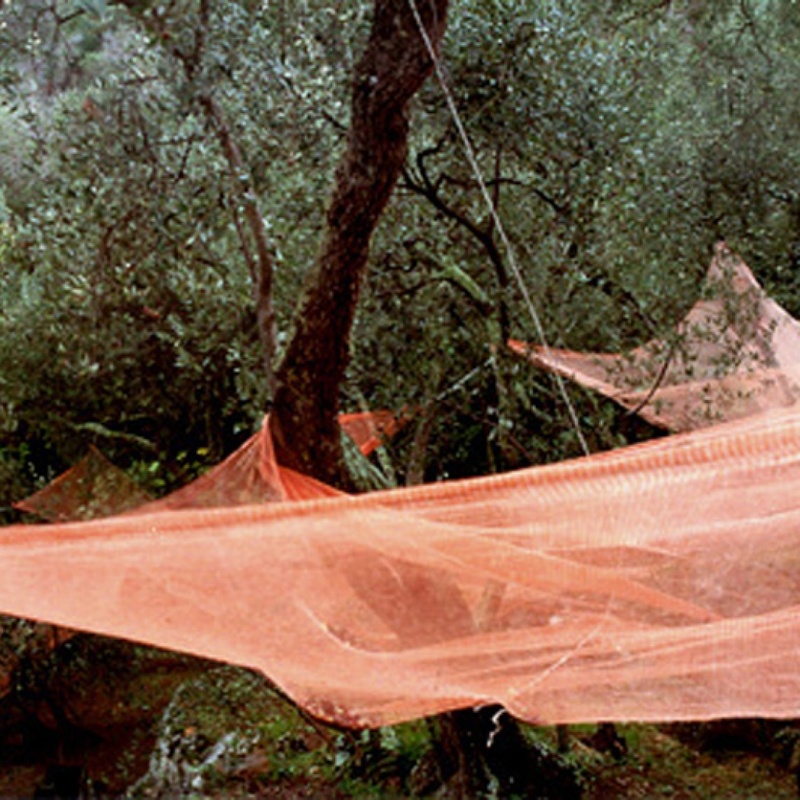 These very light structures fluttered like sails on the sea.